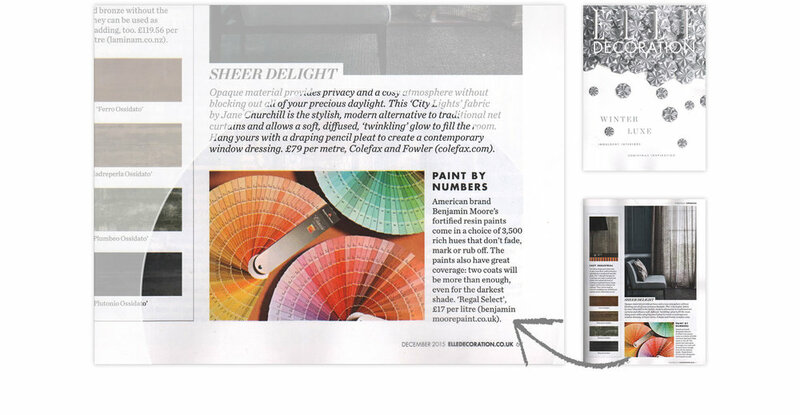 The USA’s fourth largest manufacturer of premium quality residential, commercial and industrial maintenance paints, we launched the Benjamin Moore brand to the UK media through a dedicated and comprehensive consumer and trade PR campaign. Whilst consistently remaining true to the company’s USPs and core campaign messages on quality, breadth of product and heritage, we packaged the brand’s profile and messages in a tailored format to target each sector and generated quality coverage within consumer and trade media, both online and in print. From some of the highest circulating national newspapers to full-page inclusions within key consumer home interiors titles, the PR campaign continues to grow from strength to strength, steadily increasing brand awareness to a targeted audience. With lead image placements in The Sunday Times Home and multiple inclusions in daily titles such as Metro and weekend supplements, the PR campaign has generated a fantastic response from the national press. Far reaching coverage across a number of platforms from blogs, to Instagram and Facebook.